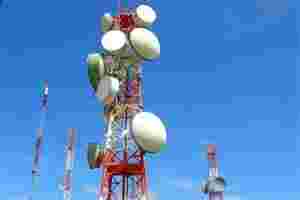 New Delhi: Key proposed alterations to the telecom policy, which are expected to transform the sector, will have to wait for a few days. The decisions relate to various suggestion on spectrum management and the licensing framework made by the Telecom Regulatory Authority of India (Trai) in May last year. The regulator later issued clarifications to queries made by the department of telecommunications (DoT). “Key decisions related to the pricing of spectrum, priority of companies to be allocated spectrum and mergers and acquisitions could not be taken today and will be done later this week," said an official present at the meeting. “These decision impact all the other issues in the recommendations and, therefore, no other decisions could be taken today," said another official present at the meeting. Trai’s recommendations, last updated in October, were reviewed by an internal DoT committee, which suggested key changes, especially in relation to mergers and acquisitions and roll-out obligations. Last week, an internal DoT committee submitted its views on the various issues related to spectrum management and the licensing framework. The committee’s submission of more than 100 pages, reviewed by Mint, suggested some key alterations to the Trai recommendations. It said there should be no change to the existing roll-out obligations as this won’t be legally tenable. Most telcos have already fulfilled the necessary three-year obligations and those that haven’t have been sent notices for liquidated damages. The committee has also rejected Trai’s recommendations on mergers and acquisitions that would allow telcos to merge their operations if the combined market share of the new entity is less than 60%, a substantial increase over the current 40% ceiling. This proposal could lead to a “monopoly market situation" and therefore the market share of the new combined entity should be limited to 35%, the committee has said. The key change that the committee has recommended that the Telecom Commission approve relates to the payment of a one-time fee for additional spectrum above 6.2MHz. This could cost the telcos as much as ₹ 18,000 crore as a whole. Many brokerage firms are preparing to downgrade some telecom stocks if this change comes into effect. Other key recommendations that are likely to be accepted include the creation of a universal licence with a uniform licence fee. But there may be a change from the recommended 6-8% over the next two years. Tower companies and Internet service providers would also have to cough up this fee. The committee has also recommended that the Telecom Commission implement the much-criticized subscriber-linked criteria for the allocation of additional 2G spectrum. This is heavily contested by many as it may lead to notional revenue losses for the exchequer. Spectrum sharing has been supported, but with a number of caveats as well as the delinking of spectrum from licences. If there is no delinking, the DoT should not issue any more telecom licences, the panel said. Trai may also be allowed to audit the use of spectrum to check that none of the private firms is wasting spectrum.